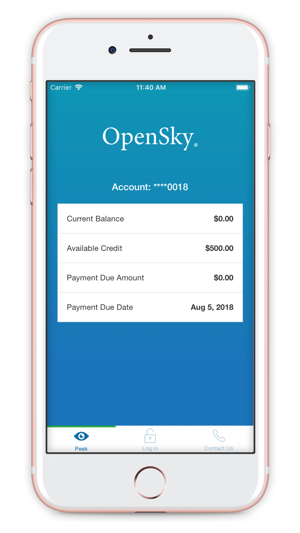 The OpenSky® mobile application lets you manage your OpenSky credit card account from the convenience of your iPhone or iPad — so you can keep on top of payments, and much more. 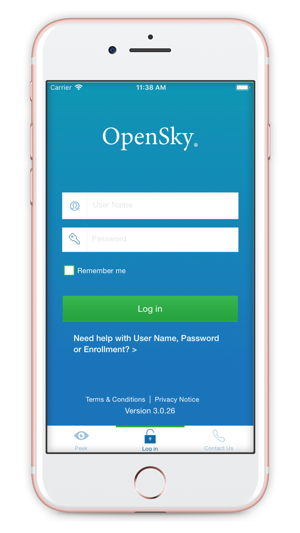 •	See your minimum payment due and next payment date – helps make planning easier! 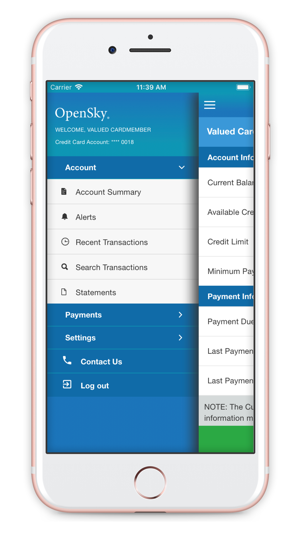 •	Stay on top of your daily spending to keep card utilization low! •	Make one-time payments or set up recurring payments – never miss a payment! 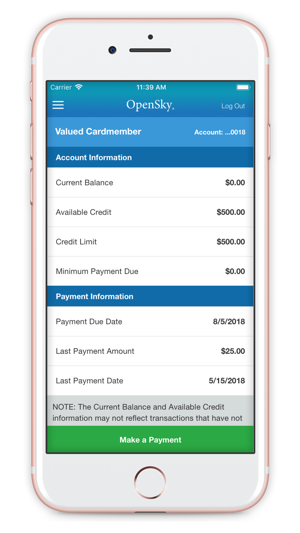 And, with Touch ID, the mobile app helps make easy work of card management so cardholders can more easily build credit — whether at home or on the go. I applied for an account March 9th and deposited $300. I have received a single email receipt but nothing else since. I am unable to sign in and apparently the only way to contact this company is by regular mail despite their very efficient website that could process my credit card payment within minutes yet somehow they can’t maintain an email account for customer service? That alone is extremely suspicious and combined with their failure to do anything other than take $300 from me will force me to conclude I have been a victim of wire fraud if I am not contacted by a representative within 48 hrs. After that I will begin filing complaints with all state and federal authorities. Love the new app! It was somewhat of a hassle logging in through browser and having to answer security questions EVERY SINGLE TIME! Now all I have to do is look at my iPhone X and bam, logged in! I’ve also noticed that I check on my account more often by having this app. That’s a good thing. Helps one stay on top of things. 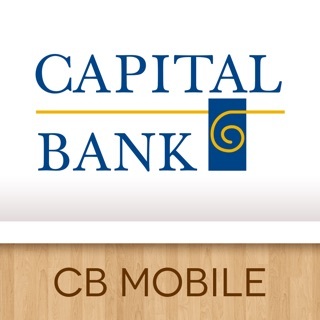 © 2018 Capital Bank N.A. All rights reserved. Member FDIC.